Most have probably heard the term, New World Order, but are confused by its meaning. To clarify all prior notions, New World Order is not a fact (yet), but a theory the paranoid hold about the direction in which the world is headed. The theory states that an inner circle of power plans on taking over the world through economic, political, and military actions. Once they achieve a one world government, those who are a drain (weak/poor people and nations) and those who make trouble will be exterminated. Others who play the game will be subject to mind control and constant surveillance. Freemasonry: A secret organization comprised of York, Scottish, and Shriner Orders. All are based on a series of rites the mason must pass in order to advance in degrees. Those at the top of the pyramid hold ancient secrets and power, allowing them to pull the strings of foreign and domestic policies. America’s forefathers belonged to the Order. Fourteen presidents were confirmed as members. Most believe Johnson, Carter, Reagan, and both Bushes need to be added onto the list. Abraham Lincoln was confirmed as NOT being a Freemason. Illuminati: Adam Weishaupt officially formed the group on May 1, 1776 (existed much earlier) in Bavaria/Germany. Hmmm, does 1776 sound familiar, Americans? The Illuminati’s most famous members include Newton, Kant, Goethe, Rothchild, Rockefeller, DuPont, and Kennedy. The official order disappeared once the German monarchy found out about a plot to over throw them. Many claim they hid under the Scottish Rite of the Freemasonry. 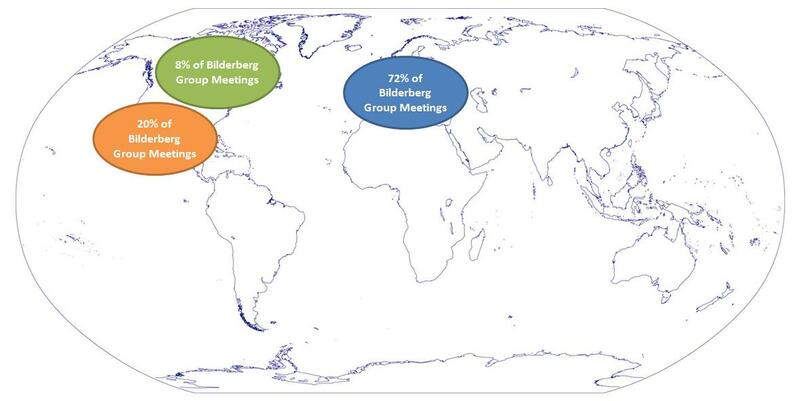 Bilderberg Group: Their name derives from the first meeting held in the Hotel de Bilderberg in Netherlands, 1954. The annual invite-only group consists of leaders, royalty, and business people, meeting in different locations always in America, Canada, and Europe. They never explain the purpose of the secretive meetings and refuse all media access. The security detail is as thick as it gets. Council of Foreign Relations: They claim to be a “think-tank” on foreign policy formed by David Rockefeller. Huge impact on the decisions made by presidents, prime ministers, and kings. Many of these groups crossover. Others worth a mention are the Bohemian Club, Club of Rome, Trilateral Commission, NATO, and Skull and Bones. For a great read about New World Order, check out Dina Rae’s The Last Degree. Goddess Fish-Thanks for having me! I don't know. It sounds like conspiracy theory run amok to me. I think it makes a great story, but I don't think there's much truth to it all.